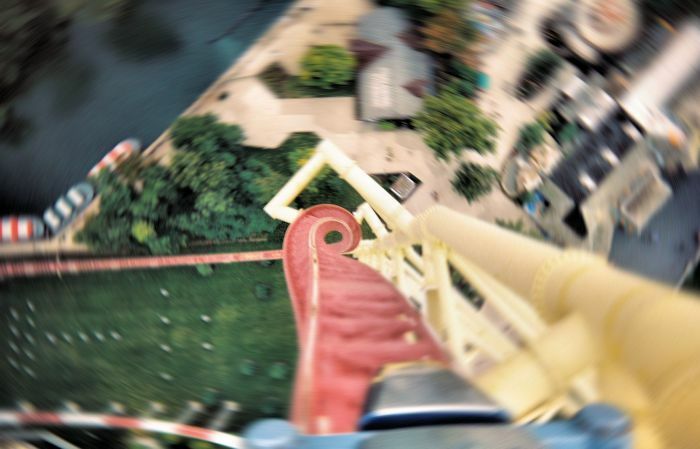 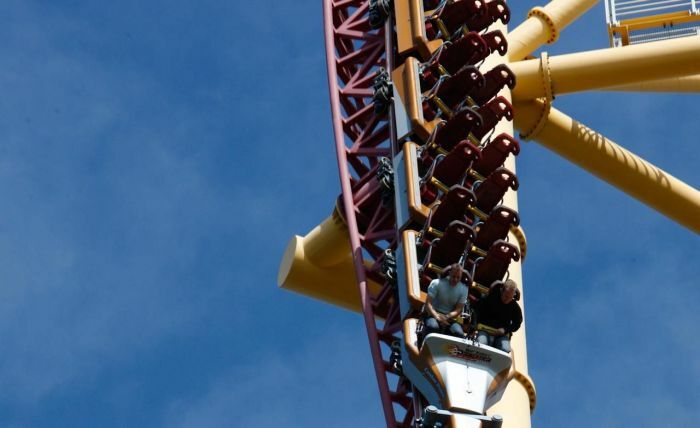 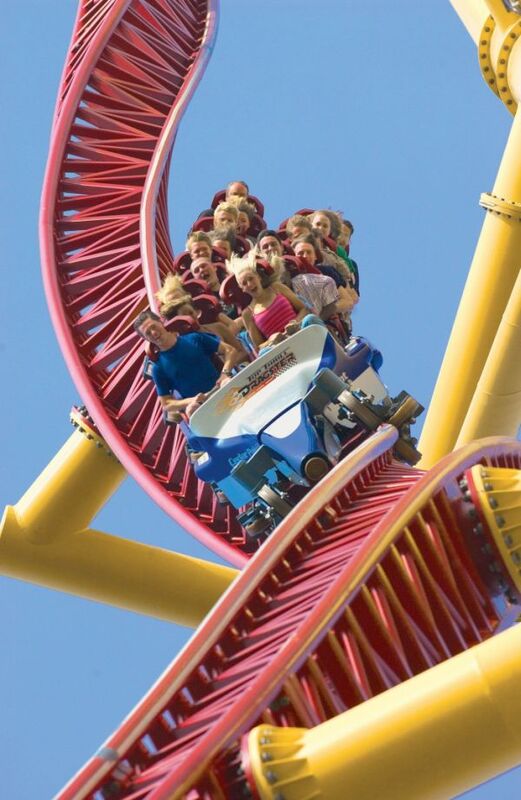 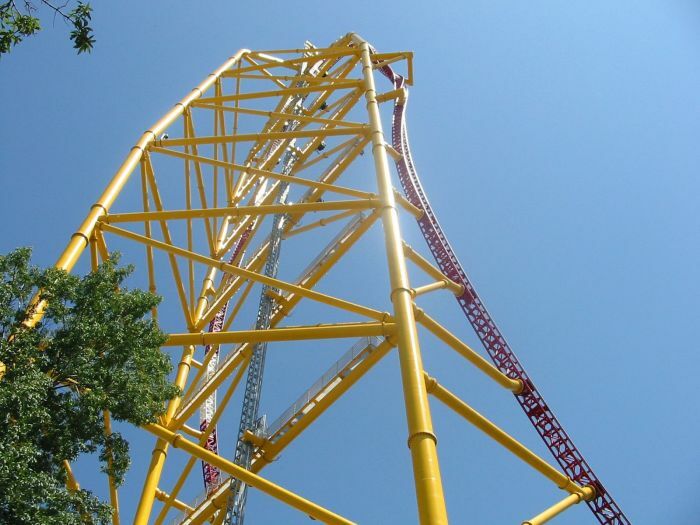 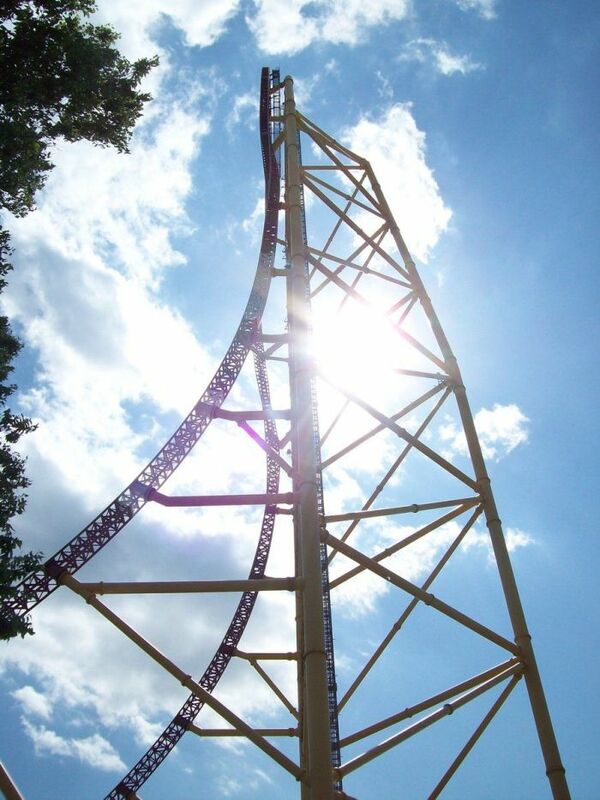 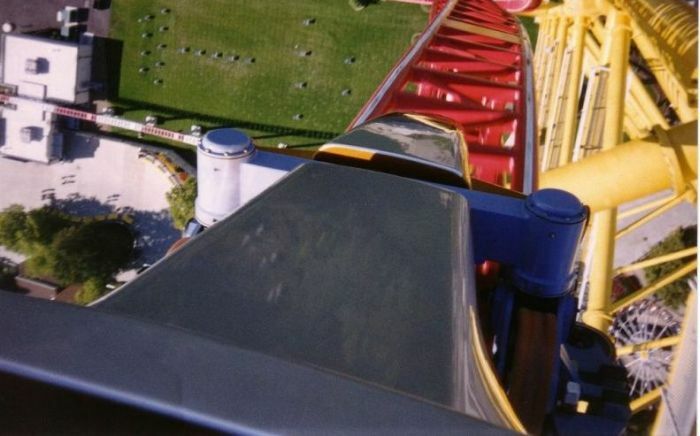 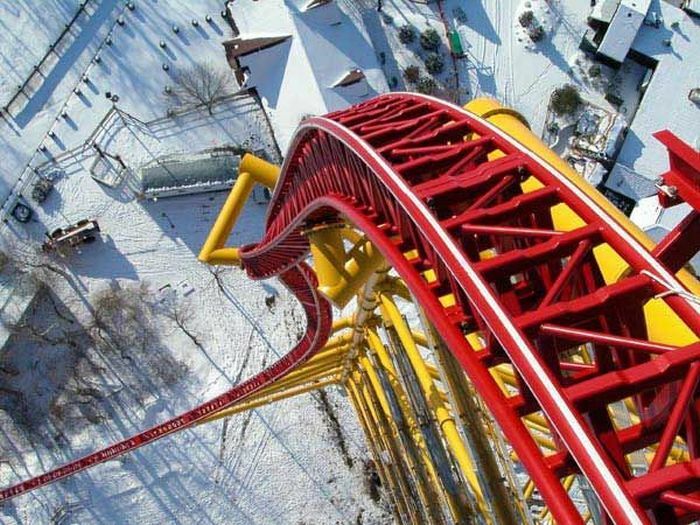 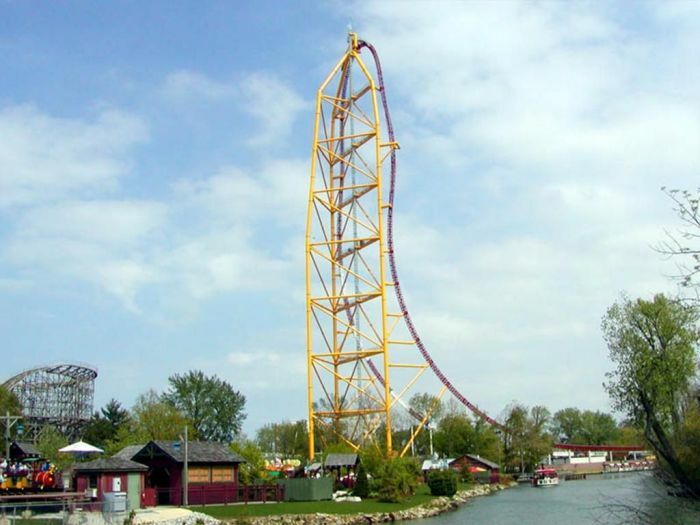 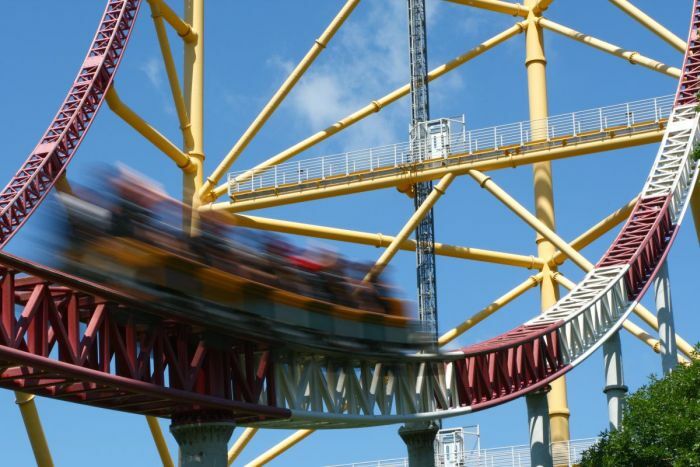 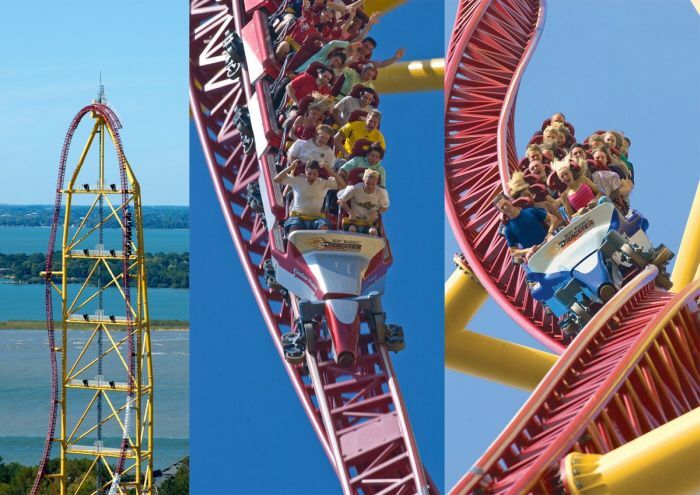 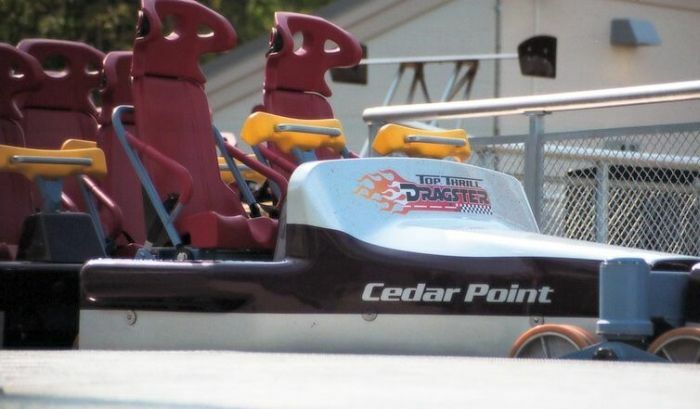 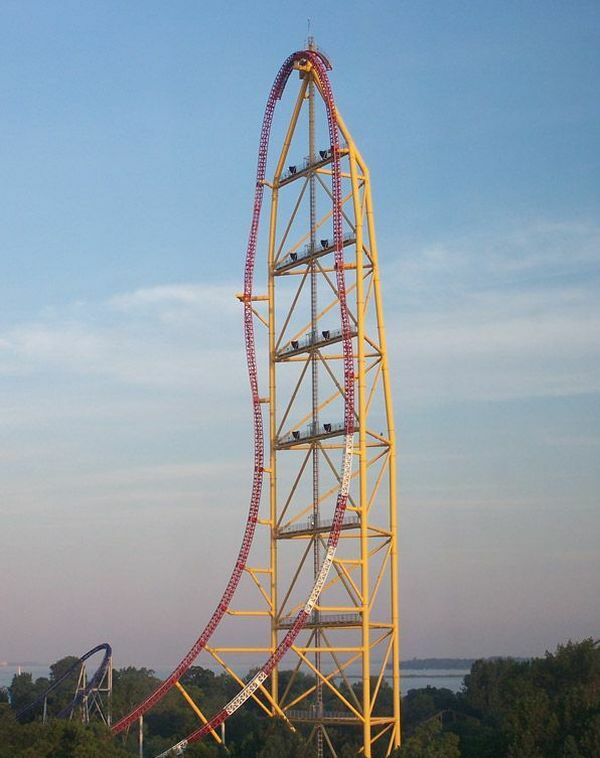 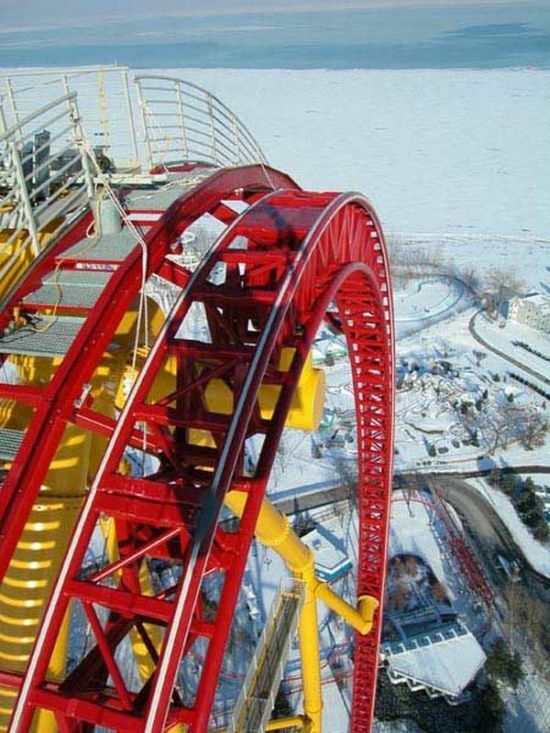 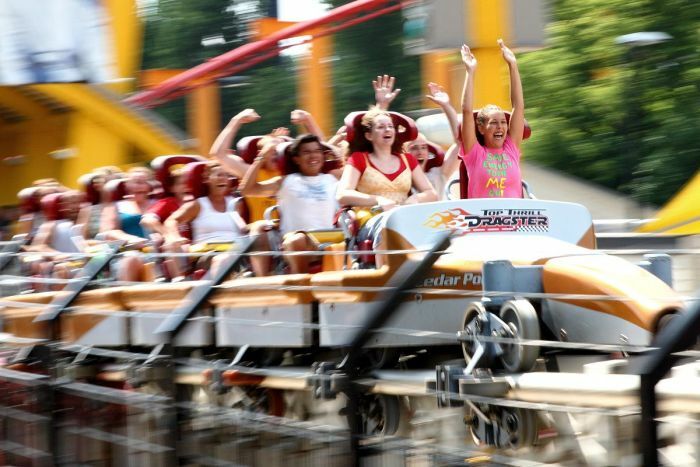 Top Thrill Dragster is a steel accelerator roller coaster built by Intamin at Cedar Point in Sandusky, Ohio, United States. 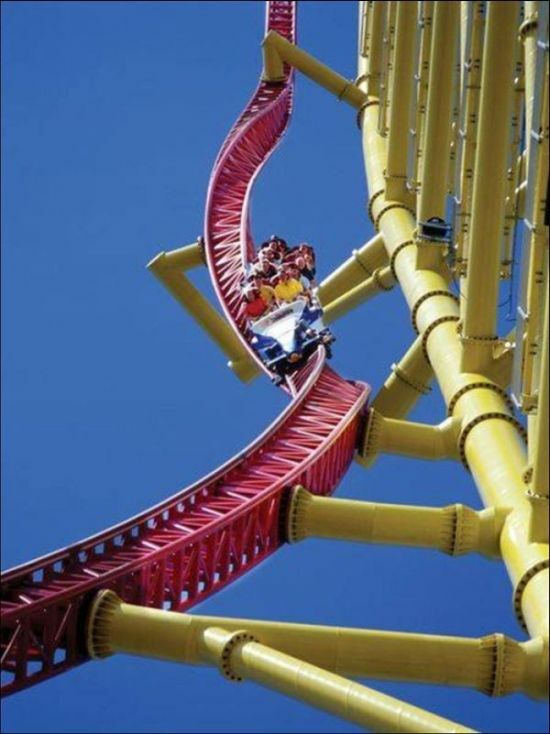 It was the sixteenth roller coaster built at the park since the Blue Streak in 1964. 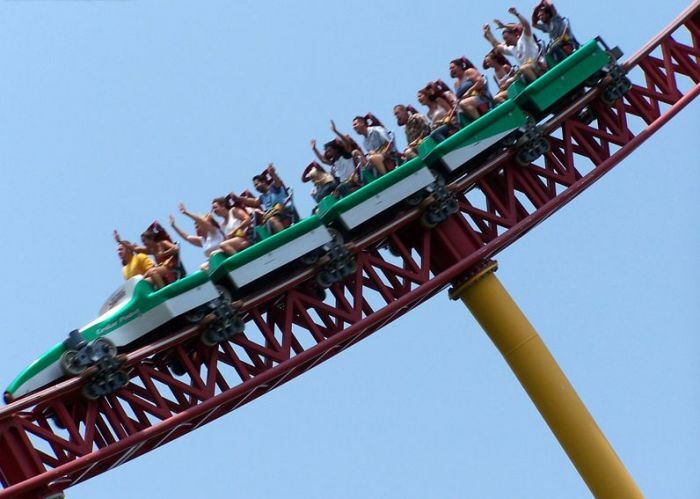 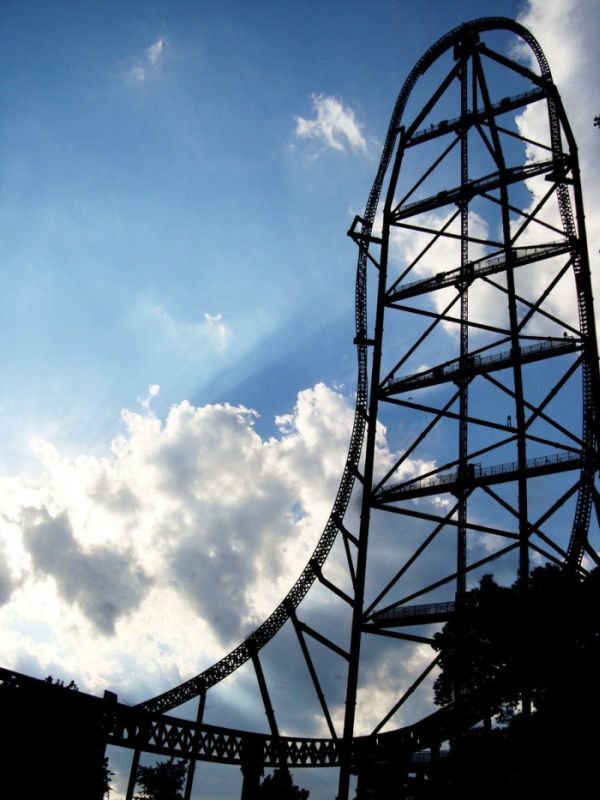 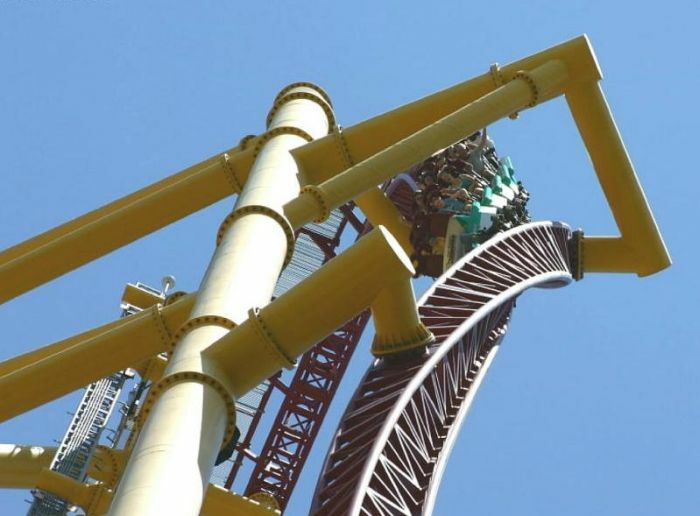 When built in 2003, it was the first full circuit roller coaster to exceed 400 feet (120 m) in height, and was the tallest roller coaster in the world, before being surpassed by Kingda Ka in May 2005. 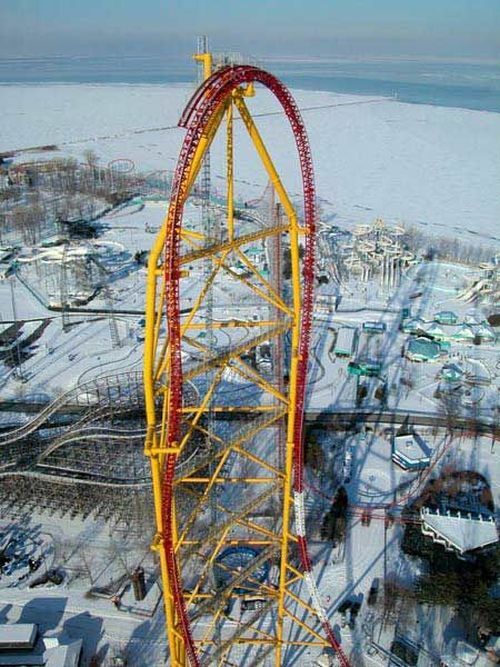 Looks amazing, but the ride is too damn short. 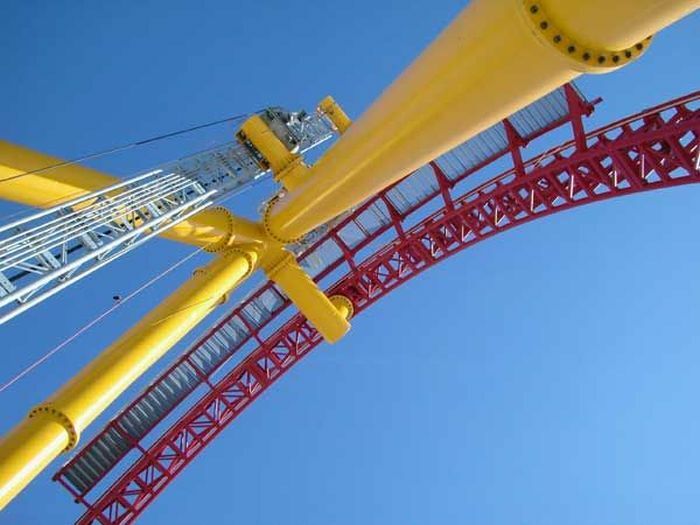 ...except the actual ride is twice as long; they launch you backwards next so the train ends up in correct position for the next group. 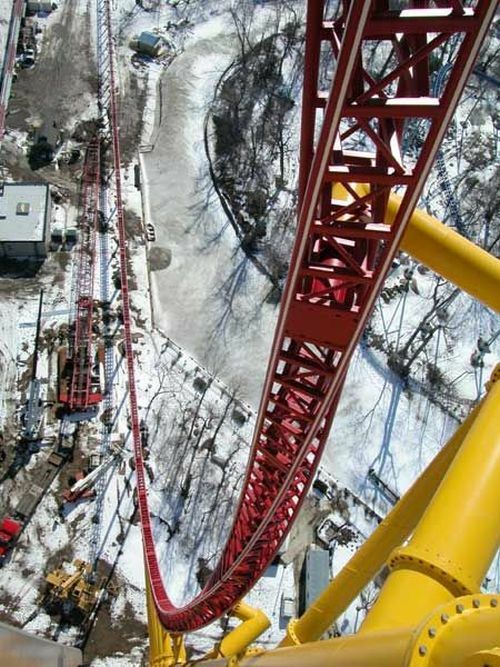 Not kidding. 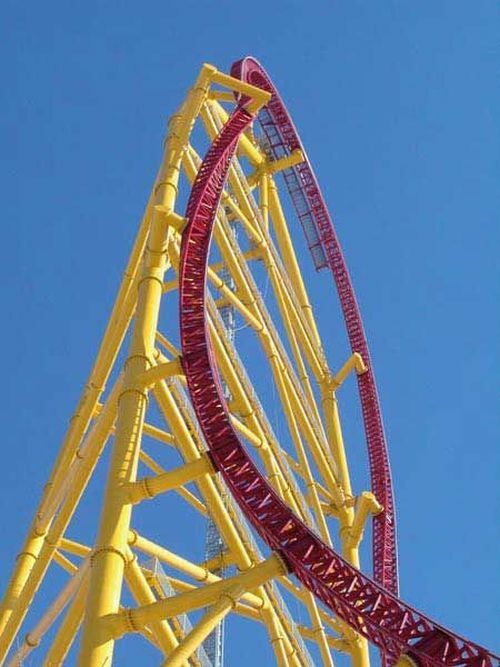 Are there change rooms close by?